Poets, top chefs, and fishermen have sung its praises. The minute you visit, you understand why. This poorly kept New York secret will have you returning year after year, season after season, without ever fearing that you’ve exhausted your to-do list. Whether you’re planning a day trip or a weeklong retreat, the formidable beauty of the Catskills is closer than you think. A booming farm-to-table and craft beverage scene has helped the Catskills earn its reputation as a serious culinary destination worldwide. Storybook farms, expansive forest preserves, and pristine rivers ensure the view is always arresting, whether you’re enjoying it from the balcony of a boutique inn or the passenger-side window. Add in fascinating historical landmarks, colorful small towns dotting county routes, and a thriving arts community and you have a getaway that speaks to every traveler. Farm-to- table might be a well-worn term for everyone from food editors to home cooks, but it’s appropriate when describing the culinary revolution that has transformed the Catskills. Many chic eateries can tout their relationships with local farms and purveyors, but very few can boast of having them in view of the restaurant. If you’ve never had the satisfaction of not just imagining, but knowing where your food comes from, you’re in for a treat. And that’s before you even get to dessert. 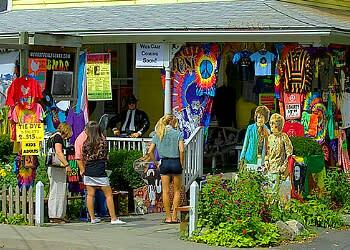 The 60’s outpouring of rock and roll, peace and love may now be ancient history, but its soul still lives on in Woodstock, New York. While the famous festival took place in nearby Bethel, Woodstock pays homage to the arts, music, and politics that defined an era. It’s also home to a thriving community of artisan makers and producers in their own right. From local theater productions to fine arts studios, the residents of Woodstock happily share and showcase their talents with the community. Set among bucolic mountains and farmland, Woodstock is also the perfect landing spot for the outdoor activities the region is so well known for. Yes, there are overlooks here where you can see into five (!) neighboring states. But you don’t have to scale a mountain to gain some perspective on how striking this land really is. You’re just as likely to be caught off guard turning a highway corner to a view of tiered waterfalls, or when you stumble upon a pristine lake in the middle of the woods on a hike. Every turn is a potential opportunity to glimpse the simple, unadulterated beauty the region is famous for. Bring a camera—and a backup memory card. 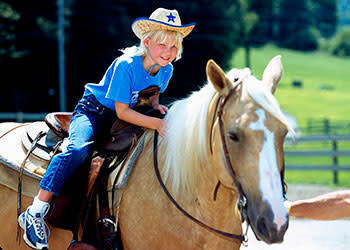 You’d be forgiven if you arrived at Rocking Horse Ranch and never once felt inclined to leave the resort. This sprawling 500-acre all-inclusive has a prolific offering of daily activities. Days are brimming with everything from alpine tubing to horseback-riding, and nights are spent enjoying top-notch entertainment from circus acts, comedians, and magicians. And not to worry: this Hudson Valley gem doesn’t neglect adults: Think an in-house spa and perfectly orchestrated happy hours. Hunter Mountain has long been a top New York destination for skiing, snowboarding, and winter sports, but in-the-know travelers will say that you come for the winters, but stay for the summers. Whether you’re looking to take up fly-fishing, snap a family photo from atop a 3,200 ft. summit, or indulge in an adrenaline-fueled day on the highest and longest zipline in North America, you’ll collect memories as a family that will stay with you long after your trip. Head to this fourth-generation family farm for a Saturday night pizza party in the heart of the Catskills. Every weekend from 5 to 8 pm so long as the weather cooperates, the Fairbairn family opens up their doors for a night of farm-fresh, homemade pizzas piled high with local, seasonal ingredients. After indulging in a buffet-style feast, enjoy hayrides and other family-friendly activities on the farm. If you’re looking for a quick retreat into the Catskills, head to Woodstock. Namesake of the festival that left a trail of peace, love, and rock and roll in its wake, you get the sense that the good old days are still within reach here. 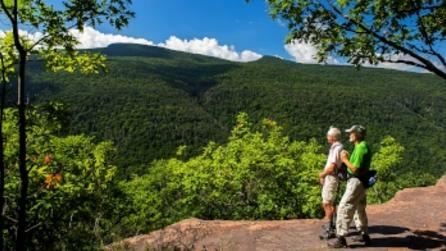 Start off with a hike up Overlook Mountain, which, as its name suggests, has some far-out views of the valley. Then, cool off with locals in the Millstream, a popular watering hole. Afterward, head down to Tinker Street to browse the artisanal offerings—you’ll find everything from pricey boutiques to antique shops and pop-up hippie memorabilia stands. Pay a visit to the Bear Cafe and dine al fresco—and streamside—on hearty mountain grub. At night, take in a headliner at the Bethel Woods Center for the Arts, which is both a museum devoted to the famous &apos;60s festival, which took place in Bethel and not in Woodstock, and a major venue for festivals and shows. 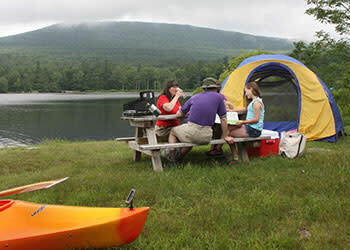 Spend the day at North-South Lake, the biggest state campground in the Catskills Park. The grounds are home to historic, diverse trails and two lakes for swimming and fishing, along with rental facilities for kayaks, canoes, and other water-sport gear. Hike to an overlook for sweeping views of five states, fish for largemouth bass, or play a pickup volleyball game at the beach. If you’re traveling with a resident grillmaster, a picnic lunch is in order—and easy—with on-site picnic pavilion and charcoal grill rentals. If you’re of the camp that believes it isn’t really a successful weekend unless you have a solid social media photo to prove it, head to the nearby Kaaterskill Falls, off of Route 23 A for Instagram-worthy views. The two-tiered falls are the highest in New York State (yes, higher than Niagara Falls) and a moderate, quick hike to the top. 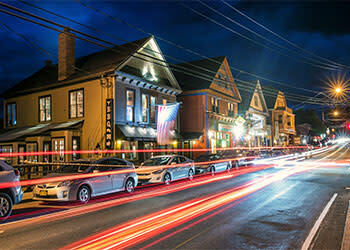 After working up an appetite, head into Tannersville, home of an almost-too-charming (and romantic) main street lined with restaurants and shops. Local favorites include the casual comfort-food emporium Mama&apos;s Boy Burgers, and the quirky Twin Peaks Coffee and Donuts. Tannersville is also home to a surprisingly hopping nightlife scene—especially in the winter when the aprés-ski crowd takes over—so don&apos;t be surprised if you end up spending the night. If the thought of spending a few hours floating down a river on an inner tube sounds a little slow for you, you’ll be perfectly at home amongst the white-water chasers that head to the Esopus Creek each summer. Thanks to a reserve that’s released from the Schoharie Reservoir, creek-goers shriek with joy as they navigate whitewater class II/III rapids each weekend. Though the water’s cold, fear not; you’ll still work up a sweat. To reward yourself for the surge of courage that saw you through the rapids, head to the rustic and elegant lodge at Deer Mountain Inn for dinner. This beautiful boutique hotel is simultaneously rugged and modern, blending old mountain charm with on-trend fine dining. Sample from locally sourced, country-inspired fare like venison sausage and lamb loin during the three-course meal, while enjoying handcrafted cocktails by the fireplace. 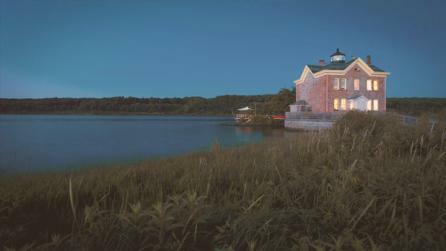 Pay a visit to Saugerties’ historic lighthouse, with sweeping views of the Hudson and surrounding mountains. 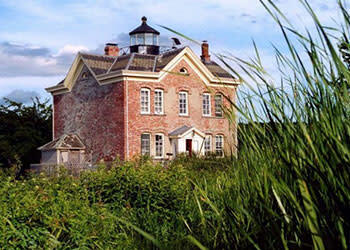 Built in 1869, the meticulously restored landmark functions as both a working lighthouse and museum. Oh, and it also moonlights as a bed and breakfast. An overnight stay here is an unforgettable experience that will take you back centuries. Afterward, head to the Catskill Animal Sanctuary for a family-friendly activity that far exceeds an afternoon at a petting zoo. Here, more than 300 rescued farm animals roam freely. Their natural curiosity and friendliness towards visitors make for amusing encounters to entertain everyone in your group. 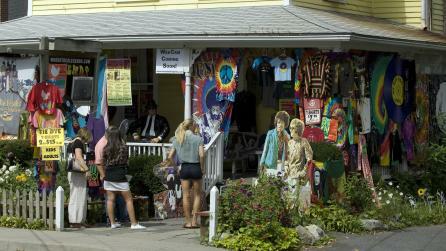 Then head into town and browse the antique shops lining the main streets, including Saugerties Antiques Gallery. The picturesque storefronts are almost as charming as the treasures hiding inside. To catch a glimpse of more conversation pieces, head to Opus 40, an outdoor sculpture park that was created stone-by-stone more than 37 years by a single artist, with all tiles laid by hand. 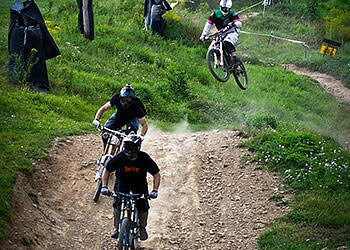 Work up a sweat at Plattekill Bike Park, home to some of the Northeast’s best mountain biking. Covered with an expansive network of lift-served trails that accommodate seasoned bikers and beginners alike, the mountain also offers packages that include tour guides. If you’re looking for a gentle, riverside ride, Plattekill Bike Park also rents bikes to ride along the appropriately named Catskills Scenic Trail. Running 26 miles through farm valleys, small towns and along the west branch of the Delaware River, the trail makes for a great leisurely afternoon exploring the beauty of the Catskills. Head over to Union Grove Distillery to enjoy Delaware County’s ever-expanding craft cocktail scene. Once you arrive, you’ll be treated to a tour of the distillery, tasting, and lineup of craft cocktails to sample. Be sure to keep a look out for one of their signature—and truly exceptional bottled Vly Creek Vodka. It’s the delicious result of combining wheat with apples run through a local antique apple press and fermented into cider, which gives the vodka a unique and subtle hint of fruit. Traveling with kids? The distillery also features an ingenious playroom so everyone gets to join in on the fun. Whether you’re a history buff, train aficionado, or just in it for the view, a ride along the scenic Catskill Mountain Railroad proves legendary. 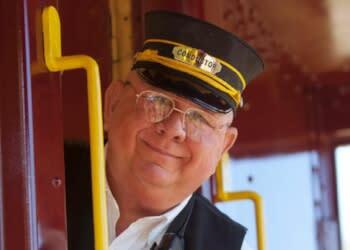 Hop into one of the beautifully maintained antique cars and be immediately transported to a time when train travel was the standard in luxury and elegance. During summer and fall foliage seasons, open-air cars offer unparalleled views. In winter, the whole family will love Christmas-themed excursions. Ever dreamt of learning to spin and dye your own wool sweater, or making ricotta cheese by hand? The folks at Apple Pond Farm have mastered the art of craftsmanship—and will happily let you in on their secrets. Pay a visit to their family-friendly farm and renewable energy education center to take a turn feeding, milking, and caring for their animals (hint: these are chores your group won’t be complaining about), all while learning a new DIY craft. While you’re there, drop by the farm store to browse their curated goodies, ranging from hats and fleeces made on the farm to fresh summer berries. You’ll be hard-pressed to leave empty-handed. After a visit to the farm, take the scenic bypass to Narrowsburg, which straddles the border to Pennsylvania by way of the Delaware River. For an afternoon on the water, pay a visit to Lander’s River Trips, where you’ll be set up with kayaks, canoes, tubes, and rafts. Whether you’re looking for a leisurely float or craving a white-water rafting adventure at Skinner’s Falls, you’ll be able to find it here. 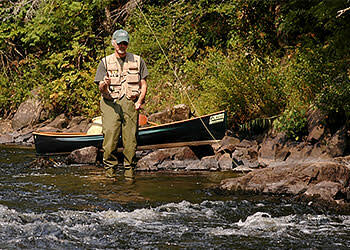 The Catskills are considered the birthplace of modern fly-fishing. But with more than 1,500 miles of trout streams ranging from tiny, bubbling brooks to impressive rivers, you’ll need to reel in the perfect location. Enter "Trout Town USA," or officially, Roscoe, New York. It’s a small town like many in The Catskills, but just so happens to boast the famous Junction Pool, which is where the Willowemoc and Beaverkill Rivers meet to form an unforgettable opportunity for trout fishing for anglers of all skill levels. 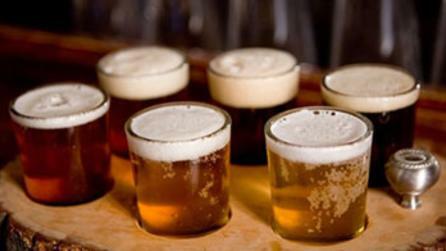 After a day on the water, mingle with fellow anglers over a local IPA at Roscoe Beer Company. Swing by Lucky Dog Farm and stock up on everything from organic berries and local cheese to homemade meatloaf sandwiches and treats. 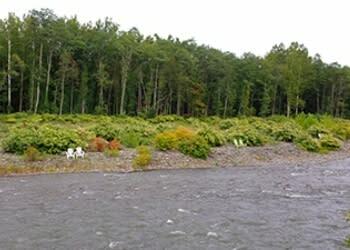 With your lunch in tow, head down to the West Branch of the Delaware River for a picnic. Then careen back up dirt roads to the nearby Mt. Utsayantha in Stamford. 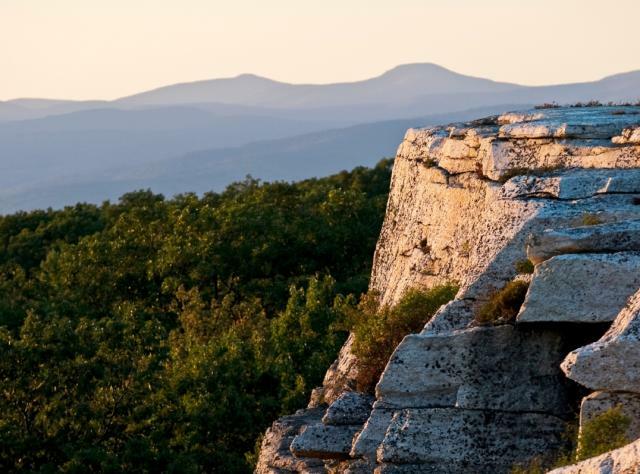 If you feel like a hike, park the car and venture up the steep one-mile road to reach the 3,000-foot summit, which features a popular restored fire tower and sweeping views of the Catskills Forest Preserve. What’s better than pizza when you’ve worked up an appetite all day? Every Friday and Saturday night from 6 to 9 in the so-small-you-might-miss-it town of Bloomville, Inez Valk opens up her tiny farm-to-table cafe, Table on Ten, for a picnic-style pizza party. Come to mingle with locals and city-slickers and enjoy freshly made pies that show off superb local ingredients. The Five-State Lookout is exactly as scenic as it sounds. Catch a glimpse of blue-tinged mountains in New York, New Hampshire, Connecticut, Vermont, and Massachusetts--sans the hours of driving required between them from this scenic overlook off of Route 23. To soak up the view a bit longer, grab a table by the windows at Captain’s Table restaurant and enjoy some surf-and-turf with unbeatable vistas. 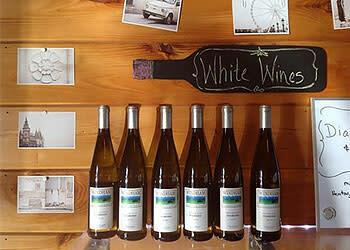 Then, stave off the Monday morning blues with a visit to Windham Vineyard and Winery. Tour the property, learn about their unique winemaking process, and sample their fruit-forward wines and adult slushies. If the thought of soaking in warm days and star-filled nights excites you, then you’re in luck. Typically, the closer you get to Mother Nature, the lower your overhead costs. Camping options abound in the Catskills, and range from the totally free (but usually amenity-less) parks to grounds with admission fees, but nice-to-have extras like showers, sport rentals, and small general stores. Two beloved options are Rip Van Winkle Campgrounds and North-South Lake Campground, which offer easy access to swimming holes, beaches, and plenty of great hiking and outdoor activities. For a refreshingly unpretentious, yet thoughtful place to rest your head after a day hiking, fishing or antiquing, head to Spruceton Inn. This cheekily coined “bed and bar” has nine minimal, cozy rooms that cover the basics—along with ingenious extras like BBQ condiments in the mini-fridge and your choice of fresh herbs and spices from the garden. 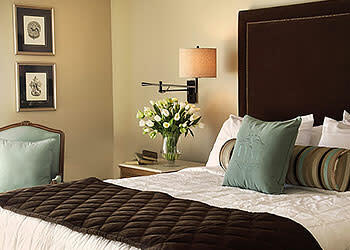 Score a queen bed starting at just $69 a night. If you’re looking for a bungalow that won’t break the bank, check out Rose Mountain Cottages, situated on a lush and wooded 62 acres just ten minutes from all of the shops and restaurants in Phoenicia. Rose Mountain features two cottages outfitted with simple kitchens, and the property includes a fire pit, picnic area, and access to a stream beloved for trout fishing. The folks behind the playfully decadent Roxbury Motel like to say that their “boutique motel resort” is not an oxymoron—and you’d be hard-pressed to argue with them. 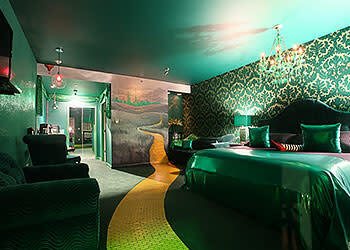 This quirky, pop-culture-infused resort is big on personality (think themed rooms inspired by famous &apos;60s and &apos;70s TV shows), but without sacrificing luxury. 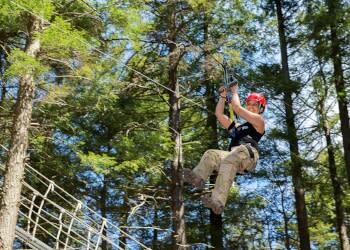 It’s also a stone’s throw from Belleayre Ski &apos;Resort and ample summer activities. Featured everywhere from Travel & Leisure to the pages of Vogue, this chic retreat in the famous town of Woodstock is well worth the hype. The comfy, artfully designed rooms feature luxurious bohemian touches, thanks to the eye of the famous husband-and-wife design duo Cortney and Bob Novogratz, who have their own show on HGTV. Hotel Dylan makes hanging in Woodstock as fun as it was in the &apos;60s (vinyl records in-room, ping pong tables, and bonfires), but with the added perk of glamorous amenities that would be the envy of any festival-goer. With awards spanning from "Best Chefs of America" to a Tripadvisor Certificate of Excellence, this sumptuous boutique hotel is one of the undisputed gems of the area. Nestled between the Hudson River and the Catskills Mountains, guests can wake to the gentle hum of the Esopus Falls from their terrace, which the property overlooks. Expect romantic, European elegance in everything from the linens to the robes, and some of the region’s best farm-to-table cooking under chef Giuseppe Napoli at the on-site tavern. Looking for resort-style amenities, but with the feel of a quaint farm bed and breakfast? Enter Buttermilk Falls Inn, a sumptuous 75-acre retreat nestled along the Hudson River just 90 minutes outside of New York City. The grounds boast an 18th-century main house and romantically furnished guest cottages, along with classic touches like wood-burning in-room fireplaces and homemade scones and jams. But you can also expect pampering at their eco-friendly spa, and some of the Hudson Valley’s best farm-to-table cooking at their onsite restaurant, Henry’s. You come to Russell’s in Bovina as much to experience the storied history of this museum-slash-general store as you do for owner Bea’s famous BLT sandwiches. Filled to the brim with oddities, artifacts, local food, and arts & crafts, you’ll find as many locals gossiping over a cup of coffee at the picnic tables outside the shop as you will visitors. The menu is as expansive, the portions as hearty, and the decor as nostalgic as you’d expect for a classic &apos;60’s dinner, with one big difference. Feel free to ask what’s in the meatloaf—or any dish on the menu for that matter, as the modern take on diner fare means pride in using local, seasonal Catskills ingredients. Eat to your heart&apos;s content (and save room for a milkshake). 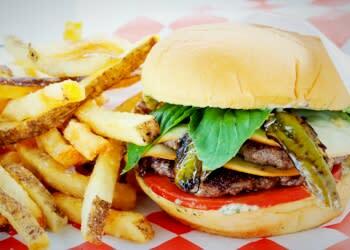 If being green means more to you than getting your veggies in, Aroma Thyme Bistro will be right up your alley. One of fewer than 400 restaurants in the US to be Certified Green and the first in Upstate New York, this Ellenville gem focuses on organic, socially responsible cooking. Specializing in grass-fed meat, sustainably-sourced seafood, and organic fare, they also have a killer independent wine, spirits, and craft beer selection. Hip, artisanal dining experiences were, for a long time, thought to only exist in the coolest boroughs of the biggest cities. 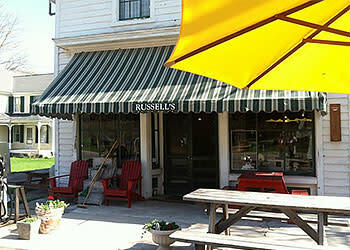 Brushland Eating House, along with a number of farm-to-table restaurants in Delaware County, is proving otherwise. Brushland’s deceptively simple fare is unpretentious comfort food at its best, letting its ingredients do the bragging for it. This is Catskills craft food culture at its best. 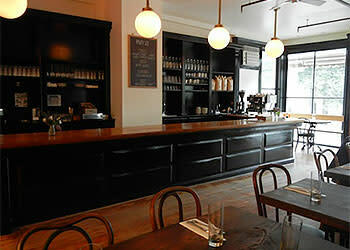 With an impressive drink menu that includes everything from local New York beers to hard-to-come-by craft ciders, the Heron is as much a place to enjoy a fine cocktail as it is to eat great, local food. The menu will appeal to all ages and appetites, with options ranging from artisanal mac and cheese to roasted bone marrow. And with features everywhere from Food & Wine to New York Magazines, you can expect a crowd who will have traveled quite a ways to get their hands on some local fried buttermilk chicken. Devin and Marybeth Mills held prolific careers in the NYC restaurant scene, but set their sights on moving closer to the farms that were stocking their chef’s kitchens. The result? The restoration of a country Catskills barn in Big Indian, NY they coined Peekamoose. The menu changes daily, but is always sure to showcase farm-fresh ingredients, ranging from local trout to just-picked pea shoots. Stick around after dinner and you’ll be sure to enjoy some family-friendly fun, including s’mores by the bonfire and locals crooning to the guitar. • The tallest waterfall in the state is in The Catskills at Kaaterskill Falls, with a dramatic two-tier drop of 260 feet. 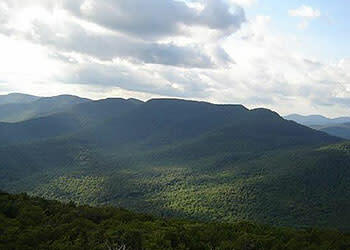 • The Catskills Forest Preserve includes over a quarter-million acres of forever wild land, which is constitutionally protected by the state. 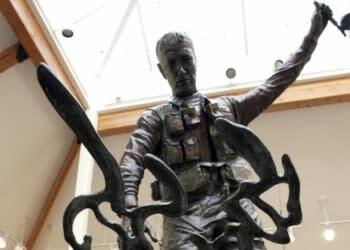 • The Catskills are recognized as the birthplace of modern fly-fishing, and the region even has a museum that is a testament to the sport: The Catskill Fly Fishing Center. • Contrary to its name, Woodstock Music Festival was actually held in Bethel, NY, which is now home to a museum that stands as a testament to the festival, as well as the Bethel Woods Center for the Arts, which hosts concerts all summer long. • The Catskills town of Mt. Tremper is home to the World&apos;s Largest Kaleidoscope. Housed in a former grain silo, the revolving display reimagines Americana through bright, eye-catching patterns. The Catskills are not directly accessible by major train lines, but Amtrak and Metro-North both stop at stations throughout the Hudson Valley, with Catskills destinations accessible by taxi, bus, or rental car. The Catskills region is served by the Greater Binghamton Airport, the Albany International Airport and Stewart International Airport with taxi and rental-car services to take visitors to the Catskills.